Years ago, when I read about the Holy Spirit descending on Jesus during His baptism, I imagined it like this: A sparkling white dove wreathed in sunbeams came down through the clouds at escalator speed, wings flashing up and down in slow motion. It was a glorious, calendar-worthy, photo-op moment. I was reading…something or other…and learned that doves are related to pigeons–those dime-a-dozen dweebs; those pests plaguing public parks; those crooning commoners. I further learned that in Israel, doves were as plentiful as sand. So it was more like a pigeon descending on Jesus–a bird so common no one would notice; a bird people sacrificed when they were too poor to offer God a lamb (Lev. 5:7). My soul reared back like a snake. How could this be? How could the Spirit of God appear as such paltry poultry? How could the Word become flesh and dwell among us? (John 1:14). “He didn’t have an impressive form or majesty that we should look at Him, no appearance that we should desire Him” (Isaiah 53:2). The Holy Pigeon flies in the face of our race to special-ness. God takes exception to exceptionalism. Yet here we are, each one of us, trying to distinguish himself or herself; trying to be noticed; trying to stand out in the crowd. God’s nature confronts us with the power of being average. He is found in a stable. The gospels hardly mention His childhood. He works in construction with his dad for awhile. He starts a ministry that fizzles after a few years. Like hundreds of other criminals, He is executed by crucifixion. Nothing special. But the kingdom of God is like treasure hidden in a forgotten field (Matt. 13:44). It winks at us from the crowd. It sparkles when the sun hits just right. 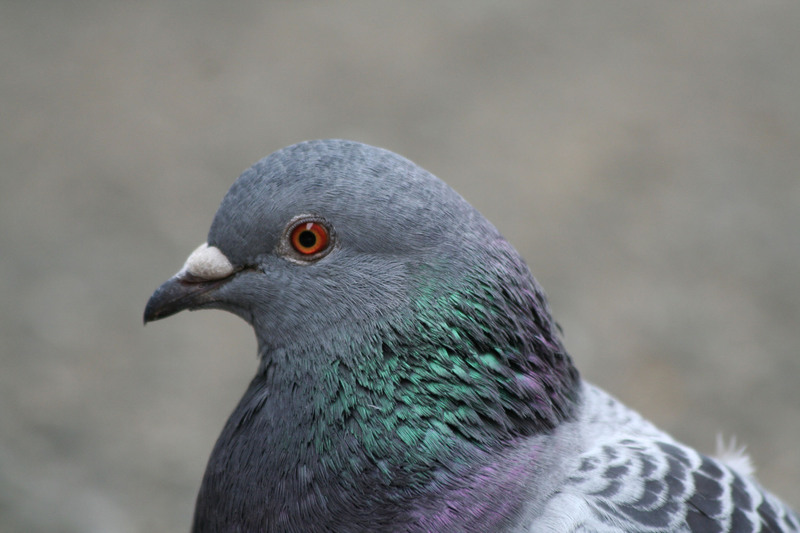 If pigeons are God’s bird of choice then maybe there’s something to be said for us average Joes. If God can transform the universe through the routine execution of some guy in the back 40 of the Roman empire then maybe I don’t need to be anything special. I just need to be His.